Breaking news in the crypto space. 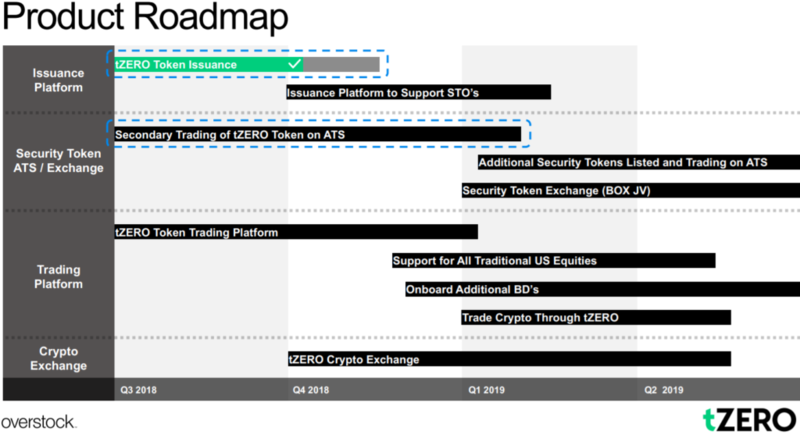 tZERO the first fully regulated security token trading platform will launch in January 2019, more specifically next week. Yes, this is breaking news, but don’t look at any crypto price because it will not affect short term prices. However, this is the fundamental foundation for the 3d major bull market in cryptocurrencies as per our 5 must-read cryptocurrency predictions for 2019. Why are we so excited at InvestingHaven? Presumably this is 1% of the news that is so important, but why and how? Moreover, what exactly is tZERO? These are the points we will address in this article. tZERO is a security token trading platform. More specifically it is called an ATS, an Alternative Trading System for security tokens. The whole idea behind tZERO is to offer tokenize securities in otherwise illiquid markets like private companies, real estate (funds) but even art. This is revolutionary because these markets have been pretty closed and illiquid. Opening them up is what the blockchain can do, and solve as a problem. Just the private offerings market is expected to reach $2 Trillion just in the U.S. alone, and some $6 Trillion globally, per year. This is huge, and the opportunity with security tokens is enormous. The ICO hype from 2 years ago is nothing compared to this. More specifically how does the transfer of Security Tokens work, both technically and legally? Are ownership rights “just” stored on the blockchain or is there a “offline copy”? The transfer of Security Tokens on the tZERO platform will require that both the “from” and “to” addresses are whitelisted in the tZERO Global Registry. If and once both addresses are whitelisted, the token sender will sign the transfer transaction with their private key and the tokens will be sent to the recipient. All transfers must also be done within compliance with applicable laws, which is enforced by our Compliance Interface Smart Contracts. Whenever a Transfer of Security Tokens takes place, the transfer and ownership will be recorded on chain as well as on the books and records of the issuing company, and the share registry maintained by the custodian. Ultimately, the nature of these tokens, they can be cross-listed across exchanges in every jurisdiction. And that’s really the vision on a global scale. Initially we will support the trading of equity securities, with a primary focus on private companies, funds, and investment vehicles backed by historically illiquid assets. In the future, we envision supporting debt instruments, real-estate, bonds, or even art, music and film. Essentially anywhere we can help democratize access, bring transparency, increase efficiency, or create liquidity. We expect to launch the Security Token Exchange by mid to late 2019 to all investors for publicly filing companies, subject to the technology being completed and regulatory approvals. 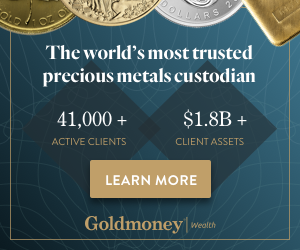 We are however, aiming to have our own token trading on our Alternative Trading System (ATS) in Q1 of 2019, initially for accredited investors only. In the future, the ATS will allow both accredited and non-accredited investors to trade private securities. As of this week it is possible to register for an account. However, trading is only allowed for accredited investors in the coming months. For retail and other investors trading becomes possible late this year. Why is this tZERO announcement so important? Very simple, as per our fundamental thesis we believe that the next wave of the crypto bull market will be based on the foundational value that the next gen tokens will bring, first and foremost security tokens. Institutional money is waiting to enter the crypto space. The new crypto bull market will be driven by institutional money in combination with the new wave of innovation and adoption which will come from security tokens combined with applications around stablecoins. We tend to map chart analysis with fundamental analysis in our blockchain investing research service. Below we make a crucial point. Ethereum’s ICO during the depth of the first crypto winter eventually became the driver for crypto bull market #2. Similarly, we see today this analogy with tZERO’s ICO which collected an enormous amount of $100M at the depth of crypto winter #2. This, eventually, will drive innovation and speculation into crypto bull market #3. The chart below with annotations makes our point! tZERO raised $100M with their ICO in December, on its first day. To put this in perspective: Ethereum got 25,000 Bitcoins during their ICO in 2014. The value at that point in time in dollar terms was some $9M, while today it would be $85M. Also in December tZERO was hired by Hong Kong-based GSR Capital to create a token for trading cobalt, with GSR also buying $30 million in tZERO security tokens from Overstock. However, the partnership was delayed after GSR asked for additional time to on-board a third partner and close the deal. The key point is this: don’t expect the tZERO announcement to bring the crypto market in a full fledged bull market, with Bitcoin price swings of +30% in the coming days and weeks. It is the fundamental value and innovation that will unleash new opportunities and interest in the crypto market in the next years that is the real premise.